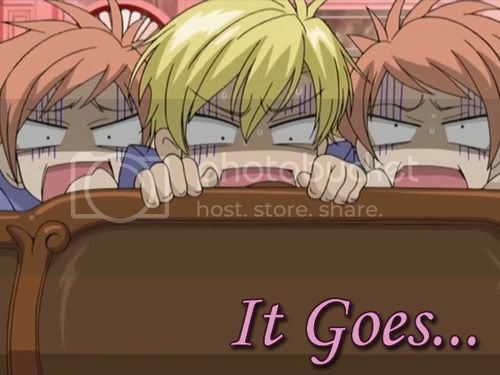 Comments: This is supposed to be a a fairly random video with some lyric sync... Just some Ouran fun because I'm a fan of this song, and a fan of this show. This was a tough video for me. It was massively fun to work on at first, but then the more I wanted to get the sync right, the more I came to want to avoid working on this. Not to mentioned I asked in several places for help with sync several times, and many times was met with silence. For the few people who were kind enough to rip apart my video's sync and critique the crap out of my beta, thank you very much I really do extremely appreciate it.